Merry Christmas Wholesome Cook readers! Here is a little gift from me and the fabulous folks over at Eat Your Books. Enter now to WIN an Eat Your Books Lifetime Membership PLUS get a sneak peek at my new e-cookbook, Guilt-Free Desserts, due out in February 2013! If you are a cookbook collector and recipe lover like me, you will love this giveaway! Eat Your Books is an electronic bookmarking service where you can create your own virtual bookshelf, add all your titles to it and never miss a recipe again. Once set up – and this only takes minutes, simply enter whatever recipe your looking for and the database will give you a list of all the recipes that match the search criteria contained in all of your cookbooks and mags! 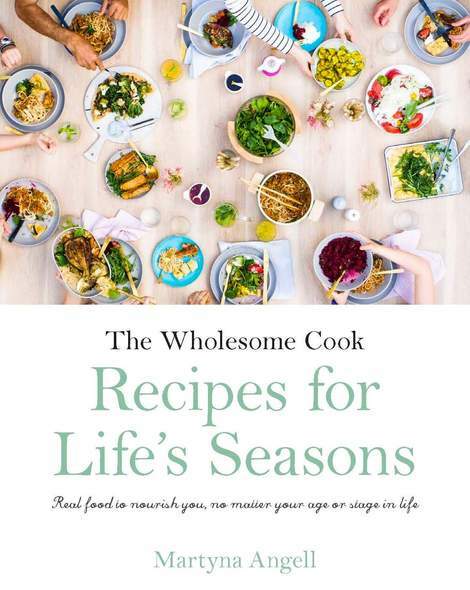 More titles are being indexed everyday, including my first e-cookbook My Whole Food Philosophy. You can also view my bookshelf here. The service is quite affordable for serious recipe lovers, starting with no fee for upto 5 cookbooks and unlimited titles at $2.50 a month or $25 a year. 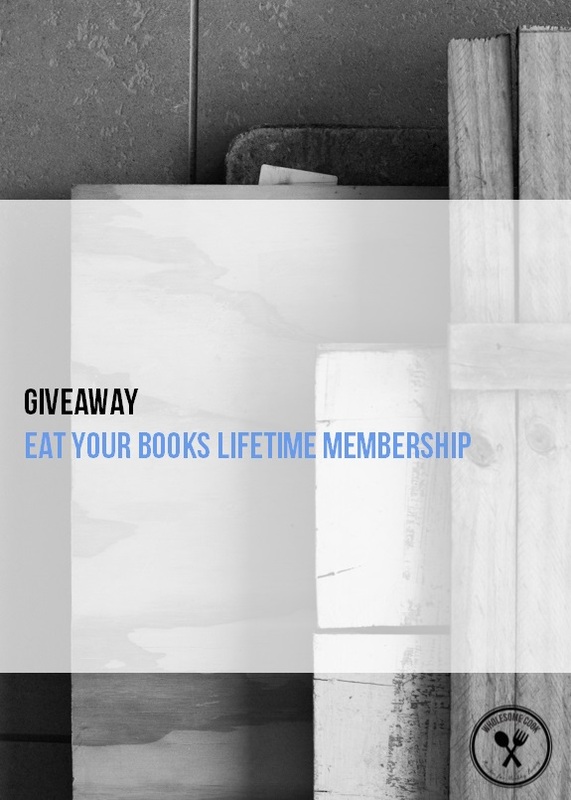 And thanks to the generous people behind Eat Your Books I am giving away a Lifetime Membership to the Eat Your Books service. See end of post on how to enter via Rafflecopter. Many blogs are also listed and there is also an option to add your personal recipes or bookmark recipes found online, so you can search them too once added to your shelf. How great is that?!!! Covering over 30 vegan, gluten-free and processed sugar-free desserts this new e-book is an essential addition to every health conscious sweet tooth’s library. Guest recipes will include delicious creations from such well-known bloggers as Masterchef Host and I Quit Sugar author Sarah Wilson, as well as 6 of my other favourite wholefood bloggers: Dreena Burton, Jen Jenner, Jo Whitton, Sherilyn Palmer, Sylvie Shirazi and Melissa Ambrosini. Want it? Subscribe here to my regular FREE email recipe and giveaway updates and you will automatically save 30% off my first e-book, ‘My Whole Food Philosophy’. 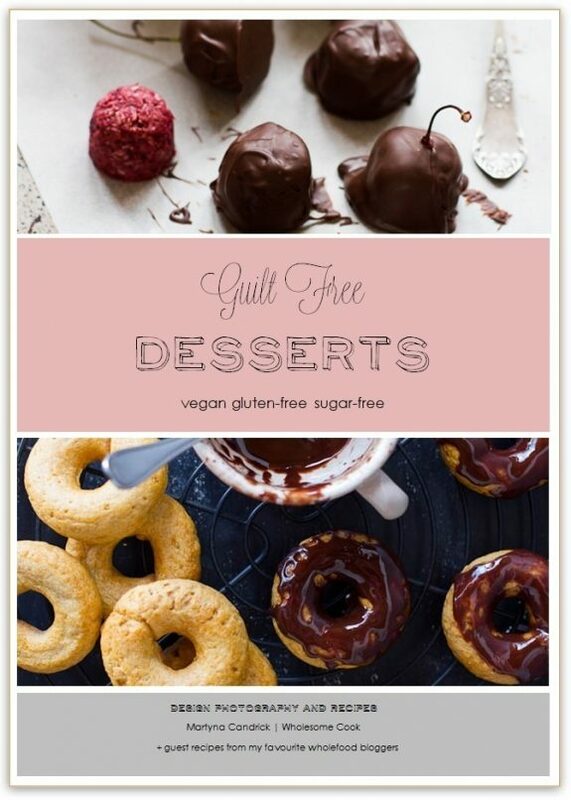 PLUS receive a special members-only launch offer on Guilt Free Desserts when it it is released. Note: If you are already a subscriber just stay signed up (email me for your 30% off MWFP discount code if you’d like one). Affiliate Program: Stay tuned for details of GFD Affiliate Program. In the meantine, you can sign up to earn 20% from your own ‘My Whole Food Philosophy’ affiliate sales. leave a comment on this post telling me EITHER: What was your favourite special moment this Christmas? OR: What is your favourite sweet dessert? UPDATE: And the winner is… Robin F! Congratulations! I will be in touch soon to deliver the prize to you! Ts & Cs: This giveaway is open Worldwide. Competition opens 10am Sydney Time on 25 December 2012. Closes 11:59pm Sydney Time on 5 January 2012. Winner will be announced on 6 January in this post and notified by email – response will be required within 48 hours, otherwise there will be a redraw. Bonus entries available as per the Rafflecopter table below. My favourite dessert is a chocolate ganache cake consisting of layers of hazelnut meringue and whipped cream flavoured with chocolate ganache, then topped with chocolate ganache. I learnt it in a French cooking class at East Sydney Tech in the late 80s and have made it many times since. It is delicious beyond imagination and is my all time favourite. I Love EYB! My favourite moment this Christmas is viewing an illumination with my husband, sister and mum while with them in Tokyo. They are huge light displays and absolutely beautiful. At the moment I am loving fruit desserts. For Christmas I made a sour cream butter cake with poached apple and rhubard in the bottom. Served with natural yoghurt it was the perfect not too sweet, not too heavy cake. Having the first Christmas eve at our cabin with just me and fiance, listening to Christmas music, having a fire and making an amazing dinner! My favorite memory this Christmas was watching my two-year-old get excited about the Christmas lights on our house and open all her presents! My favorite dessert is a GF Yule Log. My favorite moment this Christmas was just being included with my husband’s family. My favorite dessert is any bowl of ice cream. My favorite sweet dessert is crème brûleé and I would love to get a more healthy recipe! My favourite dessert is cherry pie – not just any cherry pie, but my mom’s recipe that I make for the family for Christmas every year. Look at that, a dessert AND a Christmas moment. My favorite dessert this time of year is panettone. Or cranberry raisin tart. The best part of Christmas was catching up with my dad’s side of the family-around 26 of us-and finding out that my cousin is pregnant with her first child. It was just such a wonderful day, and with amazing home-cooked food too! Just found your site and am excited to follow you and try some recipes! My favorite moment this Christmas season actually came after a slight travel nightmare– my flight home to California (from visiting my family in Wisconsin) got canceled on Christmas morning, and I had to spend nearly 5 hours on the phone and standing in line at the airport, sorting out my replacement tickets for the next day– but getting an unexpected extra afternoon and evening to spend a little more quality time with my family made it all worth it! My favorite part was watching my kids faces when hey opened their presents. So cute. My favorite low sugar dessert is plain old dark chocolate! My favorite Christmas moment was watching my 8 month old son joyfully wrestling with tissue paper. In his opinion it was better than anything else in the box! My favorite Christmas moment was when my 4 year old sang the 12 days of Christmas to me. Precious!